Perf 14½, no wmk, photo. Printed by Harrison & Sons, London. Perf 13x13½, no wmk, engraved. Printed by Bradbury Wilkinson, London. 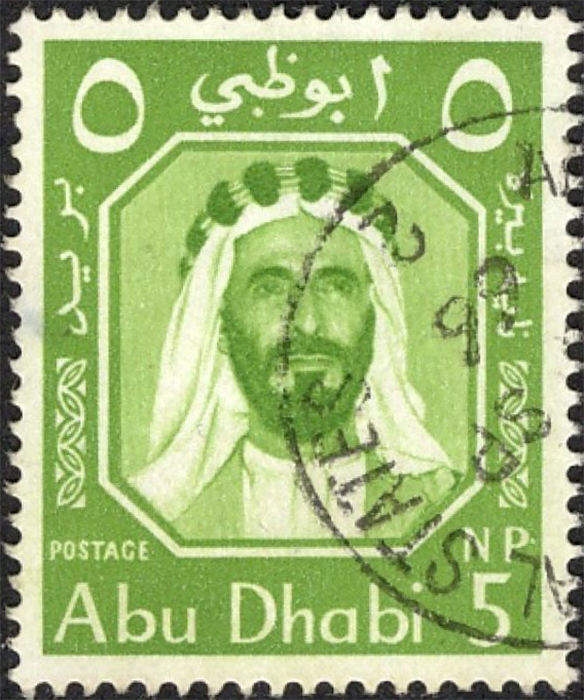 Gibbons  records an Independent Postal Administration in 1967 (Sc26 SG26) and Abu Dhabi issues under UAE (1971 Sc80 SG80). These are not differentiated in Scott.